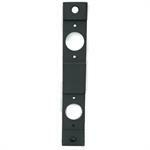 Door Filler Plate covers holes up to 2-1/8" diameter. 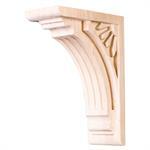 86 Mortise Filler Plate 8" X 1-1/4". Converts Type 86 mortise cutout prep to Type 161 2-1/4" latch cutout prep. Primed finish. Screws included. 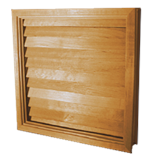 86 Mortise Filler Plate 8" X 1-1/4"
Door Edge Guard Fits all backsets for 1-3/4" door thickness. 2-1/4"h x 1"w Latch Door Filler Plate. Screws included. 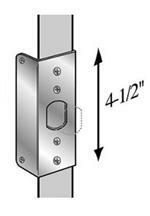 2-1/4"h x 1-1/8"w Latch Door Filler Plate. Screws included. 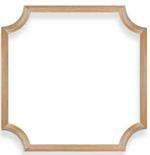 4-1/2"h x 1-5/8"w Filler Plate for frame hinge cutout. Prime finish. Screws included. ANSI Filler Plate in Prime Finish. Screws included. Fits 2-3/8" or 2-3/4" backsets. 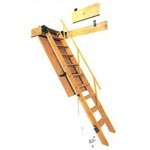 Latch Protectors: Completely covers the latch area to protect it from being tampered with by intruders.